Liverpool are reportedly interested in a surprise move for West Brom striker Salomon Rondon in a bizarre transfer rumour to rival all the Andy Carroll to Chelsea talk. According to the Sun, the Reds are joined by rivals Everton in looking at the Venezuela international, despite him managing just 20 Premier League goals in the three seasons he’s been at the Hawthorns. In fact, Rondon, 28, has only once hit the 20-goal mark in a single season in his entire career, despite spending a decent chunk of that in the Russian league, hardly the most competitive in the world. The Sun claim West Brom could sell Rondon for around £15million, with Liverpool presumably only looking at him as a backup option. If so, this follows equally strange speculation that Chelsea are also after a tall and physically-imposing Premier League centre-forward to provide cover for their main front-man. 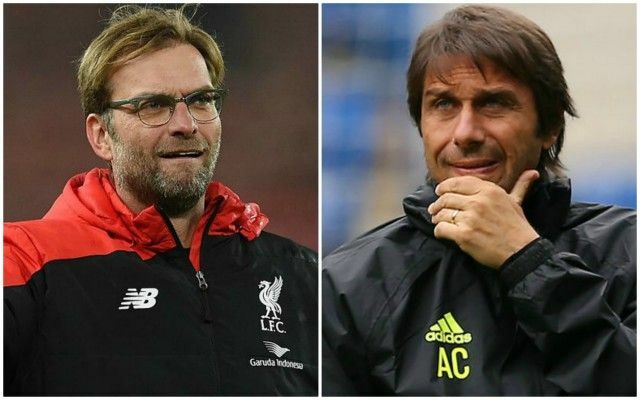 The Times recently explained that the Blues were considering short-term deals for either Andy Carroll or Peter Crouch, and that they didn’t want to think more long-term than that due to doubts over the future of manager Antonio Conte. Liverpool don’t seem in as desperate a situation, so it’s strange to see Jurgen Klopp lowering his standards so much after some recent links with big names. The Merseyside giants should have plenty to spend after selling Philippe Coutinho to Barcelona, with the Daily Express linking them with Riyad Mahrez, Don Balon linking them with James Rodriguez, and Yahoo Sport claiming they’ve got an agreement with Thomas Lemar.